Last weekend, we were delighted to work with a fabulous client who was throwing a surprise 50th Birthday Party for his wife at their private home in Surrey. 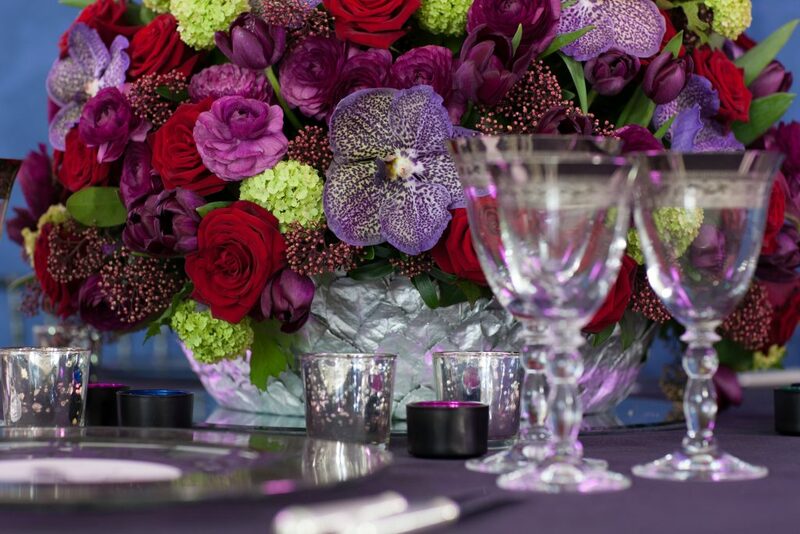 Each of the designs we created for this platinum inspired event featured a plethora of seasonal and luxurious late spring blooms in a palette of rich, jewel tones. 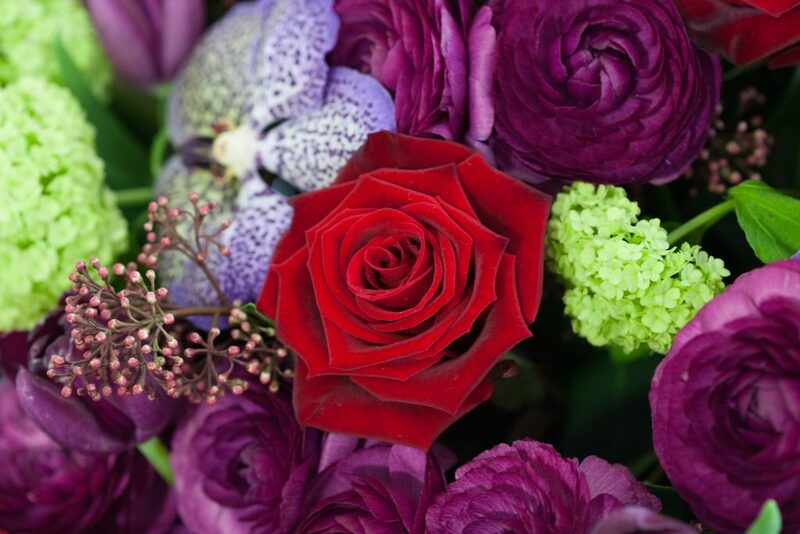 Rich & velvety red roses ranunculus, tulips, vibernum, skimmia & vanda orchids all worked together in a handmade leaf lined vase to create the most beautiful floral arrangement that created impact throughout the space. Intricate lasercut menu cards created by cutture featuring butterflies and delicate flowers were then placed atop each of the elaborate charger plates to create a beautifully cohesive scheme. For more floral inspiration follow us on instagram @larrywalshe. To discuss how we can transform your next party, get in touch.